Guests staying in central London should definitely pick an accommodation close to all the action with plenty of options for dining and entertainment. 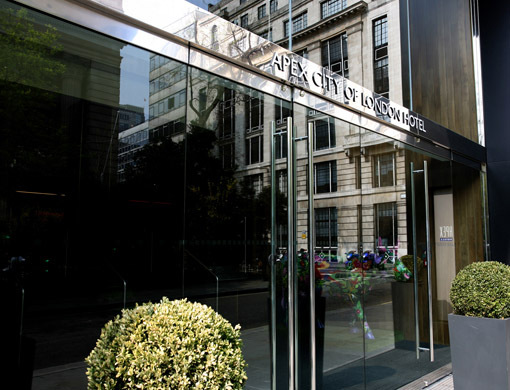 One of the best places to head to is the fabulous Apex City of London Hotel. This luxury accommodation has a top location near attractions and the business hub of the English capital. The four-star lodgings are ideal for both working and leisure tourists who want to be close to the centre with nearby transport links. The residence overlooks the iconic Tower Bridge. Perfect for first-time visitors to the UK this hotel is known for its outstanding staff members that look after guests with first-class personal service. The Apex City of London Hotel has numerous restaurants dotted around the area that provide great places to eat out in during the holiday. Travellers should also try out the on-site offerings including the excellent Addendum Restaurant and Bar that has tasty meals including brilliant seafood, grills and mouth-watering salads. The eaterie is ideal for business lunches or to catch up with fellow travellers. Guests should definitely take a trip to the hotel’s bar to have a leisurely drink and a few snacks. This is a lovely place to head to with a book or newspaper. Guests will adore the air-conditioned rooms and suites that provide travellers with a wide range of modern comforts such as an LCD television with Sky Sports and a telephone. There is also free Wi-Fi that’s fantastic for keeping up with current events or checking emails. The gorgeous living spaces have a fridge, an ironing board, large desk and tea and coffee. Tourists will appreciate the bathrooms that have a huge tub, walk-in shower and luxury Elemis toiletries. Guests in groups will enjoy staying in the excellent family rooms that can take up to four guests. The residence also has junior suites that contain a Nespresso coffee machine. The suites have a lounge and dining area as well as soft robes, slippers and Miller Harris toiletries. There are many top hotels in the city of London but this property is a brilliant place to check into especially for its many great features. The accommodation has a 24-hour fitness centre with wonderful modern Technogym equipment that’s ideal for a workout. Business travellers will enjoy checking into this address. There are air-conditioned meeting rooms available that have many audio-visual facilities for conferences, seminars and training days. Tourists will appreciate the amazing multi-lingual members of staff that can help organise a business or social occasion. They also provide wake-up calls, same-day laundry and a helpful concierge service. London has much to offer in terms of attractions and guests should definitely head to the excellent sights of Big Ben, the Houses of Parliament and St Paul’s Cathedral. A superb place to go is Buckingham Palace to learn about the royal home. Shopping fans can venture to Oxford Street, Notting Hill, Knightsbridge and Covent Garden. Travellers will also enjoy heading to the vibrant Spitalfields Market as well as Shoreditch to head to fabulous bars, restaurants and shops. The Tower of London is nearby and a great place to venture to with family and friends for a fun day out. The nearest tube station to this luxury accommodation is Tower Hill.